The most comprehensive listing of book and author events, festivals, readings, lectures, and signings in the Lone Star State for the week of Apri 21, 2019. 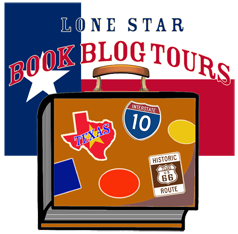 Meet the Lone Star Book Blog Tours Blogger Team, and bookmark them so you can return again and again! What are Texans reading these days, you ask? Lone Star Lit has your monthly list of trending regional titles at the Twig Book Shop, a leading independent bookseller in San Antonio. Click on any title for the Buy link. Share book reviews and ratings with Lone Star Literary Life, and even join a book club on Goodreads.